Storm clouds are brewing in California’s coffee cups. Companies across the state will have to add a cancer-warning label to coffee, a judge ruled last week, because the drink contains a chemical called acrylamide. Los Angeles County Superior Court Judge Elihu M. Berle sided with a nonprofit organization in a case against Starbucks, Peets and dozens of other coffee chains, saying that businesses that sold coffee were in violation of a state regulation called Proposition 65. Prop 65 requires businesses with at least 10 employees to disclose any carcinogens and toxic chemicals in their products. With those classifications, the chemical certainly does not sound like something people want floating in their morning pick-me-up. But experts said coffee drinkers should not change their habits on the basis of the new ruling. “The name, ‘acrylamide,’ it makes it sound scary,” said Michelle Francl, a chemist at Bryn Mawr College in Pennsylvania. But, she pointed out, a liquid labeled “oxidane” sounds ominous, even though that’s a fancy term for water. Rodents fed massive amounts of acrylamide do develop cancer. This is an “acceptable and appropriate” way to determine a carcinogenic effect, said J. Leonard Lichtenfeld, the American Cancer Society’s deputy chief medical officer. But anything – including water and oxygen – can be unsafe at the wrong dosage. Those lab rats and mice were dosed at rates 1,000 to 10,000 times higher than what humans consume in food, according to the American Cancer Society. Links between cancer and acrylamide in humans are weak or need to be replicated in additional studies, said Timothy Rebbeck, a professor at the Dana-Farber Cancer Institute in Boston. Lichtenfeld agreed. “There are no well-done human studies that answer the question definitively,” he said. What research there is indicates that the human body does not absorb the chemical at the same rate as rodents do, and we also metabolize it differently. Scientists at Stockholm University in Sweden discovered acrylamide in fried and baked foods in 2002. As starchy foods heat up, their sugars and amino acids react. Acrylamide is one of the byproducts. It is easy for health professionals to suggest laying off the fries and chips just in case acrylamide is dangerous. Coffee, however, has possible health benefits, muddying the picture. In November, the British Medical Journal published an umbrella review – pooling 201 studies that in turn had pooled smaller studies – of coffee and health. Higher consumption of coffee was associated with a lower risk of prostate cancer, endometrial cancer, leukemia, melanoma and other specific cancers. In 2016, the International Agency for Research on Cancer concluded that coffee was “unclassifiable” as a human carcinogen. “The reality is coffee is not carcinogenic, according to IARC,” Lichtenfeld said. 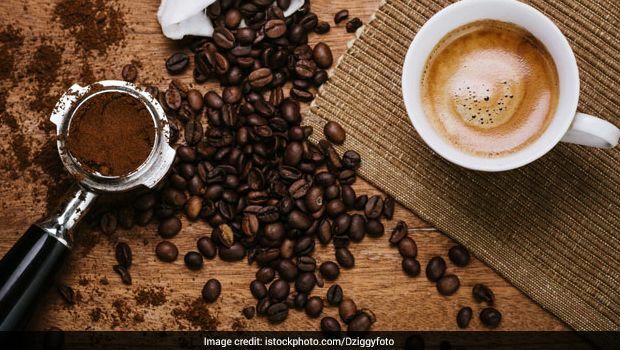 Research into coffee consumption is difficult and often based on how people report their habits, which can be muddled by other foods they eat and their behaviors. It is possible to “overload people with messages about risks and harms that are not particularly relevant,” Lichtenfeld said.